The Belize Senior Women’s Volleyball Team won Bronze at the World Championship Qualification Tournament, Group G, held in Panama City, Panama this past weekend. This is a first for Belize’s female national team, and is the result of the development of players and teams, despite the many challenges faced. 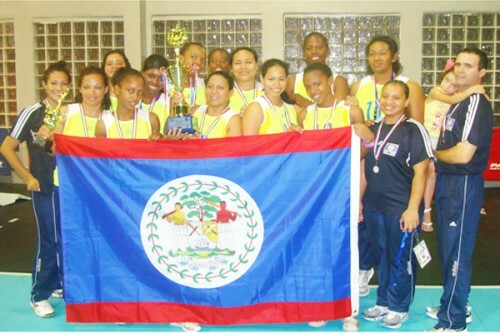 Belize females returned to international competition in 2008, and in four years improved well enough to qualify to the second round of the World Championship qualification process, which will take place in 2013. Jasmine Anderson of Team Belize also won Best Libero for the tournament. She was also a close 2nd for Best Receiver. 18-year-old Tichele Solis was 4th as Best Scorer. Shelmadine Cacho and Shantell Arnold were tied at 3rd for Best Blocker, while Sherylee Young-Thurton was 2nd as Best Server. Congratulations to Team Belize on this historic accomplishment and step forward for female volleyball! The members of Team Belize are: Sherylee Young-Thurton (Captain), Jasmine Anderson (Libero), Precelia Hoare, Nelissa Ramirez, Kimberly Spence, Tichele Solis, Marika Zuniga, Shelmadine Cacho, Tanesha Encalada, Emma Hoare, Tisha Solis, Shantell Arnold, Yvette Price (Manager), Leah Waight (coaching staff), Allan Sharp (Coach). The team arrives today, Monday, August 20, at the International Airport at 3:40 p.m. on TACA from El Salvador.